Angel Yin fired the best round of the day. 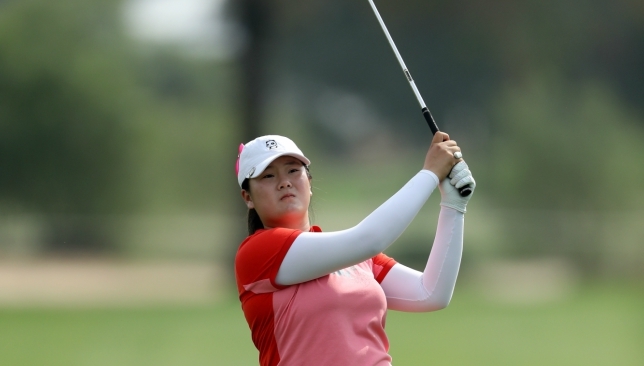 Long-hitting American teen sensation Angel Yin fired the day’s best score of a seven-under 65 to haul herself back into contention heading into the final round of the Omega Dubai Ladies Classic at Emirates Golf Club on Friday. On Pink Friday, highlighted by a raft of red-figure rounds, a number of players, including Dame Laura Davies, the recent Ricoh Women’s British Open winner In-Kyung Kim and Charley Hull moved up onto an exciting bunched-up leaderboard, with just four shots separating the top 11. England’s Hull, who finished runner-up to China’s Shanshan Feng last year, and India’s Aditi Ashok, seeking a desert slam of wins in Qatar, Abu Dhabi and Dubai, were tied for fourth one nine under while Kim and Davies shot matching 66s to move into a six-way tie for sixth on eight under. England’s Charley Hull hit a bogey-free round of 67 on day three. American Katie Burnett, Laura Jansone of Latvia, Florentyna Parker of England and Denmark’s Nicole Broch Larsen completed the group, promising a thrilling finish coming down the stretch on Saturday. “I am really happy with my round. Overall, I stroked it pretty well and made a few putts,” said Yin, who was tied for 10th last year at the Omega Dubai Ladies Classic as a rookie, before going on to represent the United States at this year’s Solheim Cup in Iowa. “I hit my iron shots really good. Of the four consecutive birdies, three of them were a foot away from the hole, so it was tap-in. Usually, when you start off well, you don’t close it off that well, but I did that,” said Yin, who managed to save par on the 18th after a wayward drive. Overnight leader Van Dam got off to a decent start with birdies on second and third, but struggled a bit to keep the early momentum going. “It was a bit up and down. There were quite some good things also. On some little shots I struggled a little bit, but I would say overall, two-under is fine,” said the 22-year-old Dutch star, who claimed her maiden win at last year’s Xiamen Open in China. Perennial contender Davies attributed her third-round 66 to putting. “Ball striking is decent, but it takes the pressure off when you know you don’t have to hit it stiff to make a birdie anymore. So putting, that’s all it is,” said the veteran golfer, who is chasing her first regular tour win in seven years. Laura Davies also put in a good performance on day three. England’s Hull almost drove the par-4 second and holed the putt from the back edge of the green for an eagle in one of the major highlights of a bogey-free 67. “Played well, but left so many shots out there. Just couldn’t get my putter going at all,” said Hull, acclaimed as one of the finest talents of her generation. Lindberg, who mixed seven birdies with a bogey, felt there were many players up there with a chance. “Someone is going to go out and play a good round. I’m going to stick to my plan and I’m going to go home and think about what number I’m going to try to reach tomorrow, and that will be my goal,” said the Swede, looking for her first win on Tour. Dream team: Niall and Rory. Former One Direction superstar Niall Horan has announced on Tuesday he’ll be coming to Dubai to attend the 29th edition of the Omega Dubai Desert Classic golf tournament, taking place at Emirates Golf Club, from Thursday January 25 until Sunday January 28 2018. The pop singer, who has sold over 70 million records, will for the first-time ever, not be putting his vocals to the test, but instead his golfing skills. In a post released today on his social channels – the Irish artist announced he will be flying in especially for the Omega Dubai Desert Classic golfing tournament where he will participate in the ProAm on Wednesday January 24 2017, with good friend and pro golfer, Rory McIlroy, who won the Omega Dubai Desert Classic in 2009 and 2015 and will again compete in the tournament in January. Having previously caddied for McIlroy at the Par-3 Contest at the Augusta National in 2015, Horan will finally have the chance to play alongside the Ulsterman during the ProAm. There will be the chance for one lucky winner to play in the ProAm with both McIlroy and Horan. The winner would also win a seven-night stay in Dubai, including flights, plus tickets to each day of the Omega Dubai Desert Classic for them and a plus one. To enter the competition, users must download the VoxGolf app, play nine holes of golf on a VoxGolf registered course and submit their score through the app. If a course is not currently listed on VoxGolf, entrants should email [email protected] and the course will be added within 24 hours, allowing golfers from around the globe the opportunity to take part. For those who prefer to observe rather than participate, there is the option of attending the Omega ‘Constellation Clinic’ at Emirates Golf Club Driving Range on Friday January 26 at 17:30 which will feature McIlroy, Horan as well pro golfer and internet sensation Paige Spiranac. Attending the clinic will be open to all those who visit the tournament that day. David Spencer, Tournament Director of Omega Dubai Desert Classic added: “We’re very excited to have Niall and Rory on board for the tournament. Their global celebrity status’ paired with their outstanding golfing experience has prepared us for a large turnout of fans throughout the tournament. Players due to compete in the 2018 tournament include: Pat Perez, Rory McIlroy, Sergio Garcia, Henrik Stenson, Matt Fitzpatrick, Tommy Fleetwood, Darren Clarke, Miguel Angel Jimenez, Colin Montgomerie and Thomas Bjorn. Tickets for the Omega Dubai Desert Classic are priced from Dh175 for a daily ticket. Children aged 16 years and under can enter free of charge if accompanied by a paying adult. 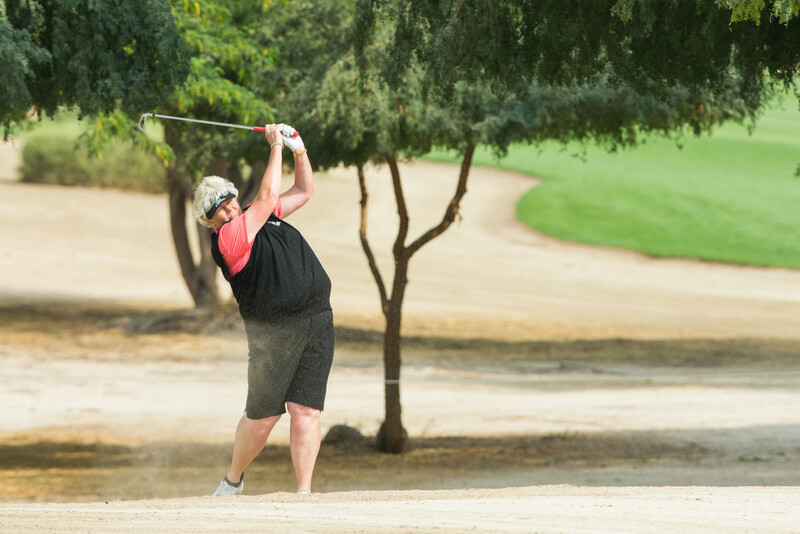 The Englishwoman is competing in her first Dubai Desert Classic. Rising teen star Sophie Lamb will join world number eight In-Kyung Kim among other top draws ensuring that the forthcoming Omega Dubai Ladies Classic has the ‘major’ presence of both the winner and low amateur of the 2017 Women’s British Open at Emirates Golf Club from December 6 to 9. The 19-year-old ace from East Lancashire will look to carry the winning momentum and good vibes from the major championship into Dubai, hoping to cap off a memorable season with another standout performance, one that gives wings to her career. “I think winning the amateur medal in a major event was a huge moment for me. It is something everyone dreams of when they first start to play golf. It’s been a great experience for me to see where my game compares to the best in the world. It’s been good,” said Sophie ahead of the season-ending Ladies European Tour event, promoted and organised by Golf in Dubai. “When you have confidence in yourself you feel like you can do just about anything, but I don’t want to get ahead of myself and will take things as they come. It will be fun playing in Dubai as I have heard a lot of good things about the tournament and know pretty well that it attracts a very strong field each year. 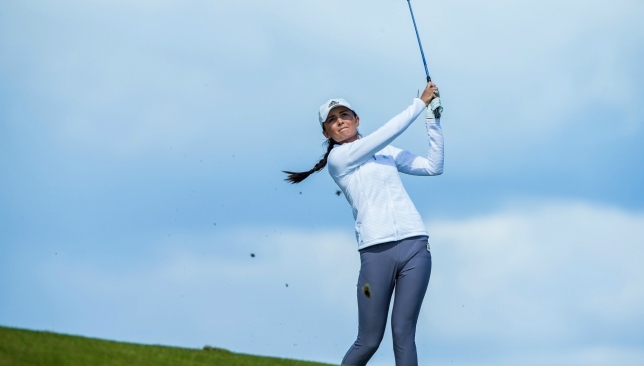 “I am grateful to Golf in Dubai for the invitation and look forward to visiting the magnificent city and playing on the famed Majlis course, Hopefully, there’ll be some more good times to come,” said Sophie, who has no immediate plans to turn professional. Lamb was awarded the Smyth Salver at the British Open. “My immediate goal is the Curtis Cup. That’s something I want to achieve before I turn professional. Not sure how things will pan out, but definitely the Curtis Cup is something I want to do,” said Sophie, who was England’s top scorer in the mixed international against Spain for the Seve Ballesteros Trophy earlier this year, winning all her games. A biennial competition between top female amateur golfers from the United States and Great Britain and Ireland, the 2018 Curtis Cup will be will be held at Quaker Ridge Golf Club in Scarsdale, New York, from June 8-10. Commented Peter Dawson, chairman of Falcon Golf: “We are delighted to welcome Sophie to Dubai. She is one of the finest young talents to emerge in women’s golf and has already achieved great success during her amateur career. 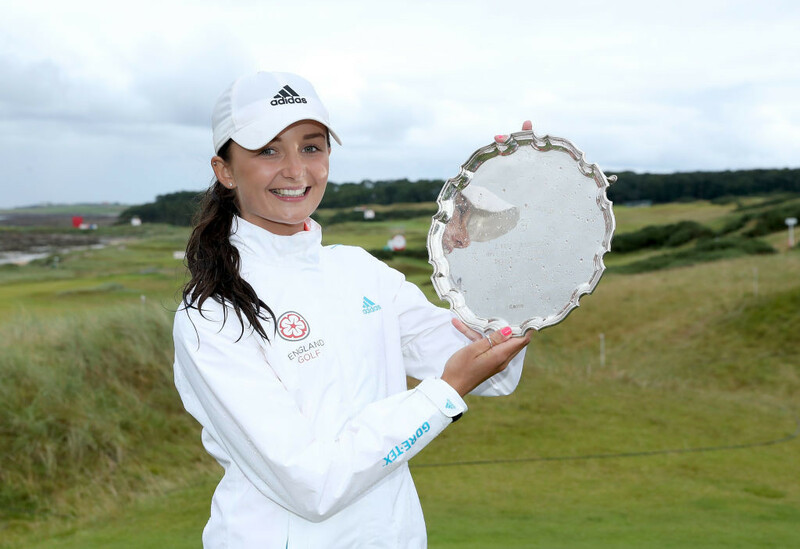 “Her achievements since winning the North of England under-14 championships amply show she has enormous potential. This is just the beginning, and I am sure we will see more of her in time to come. I wish her the very best,” he added.